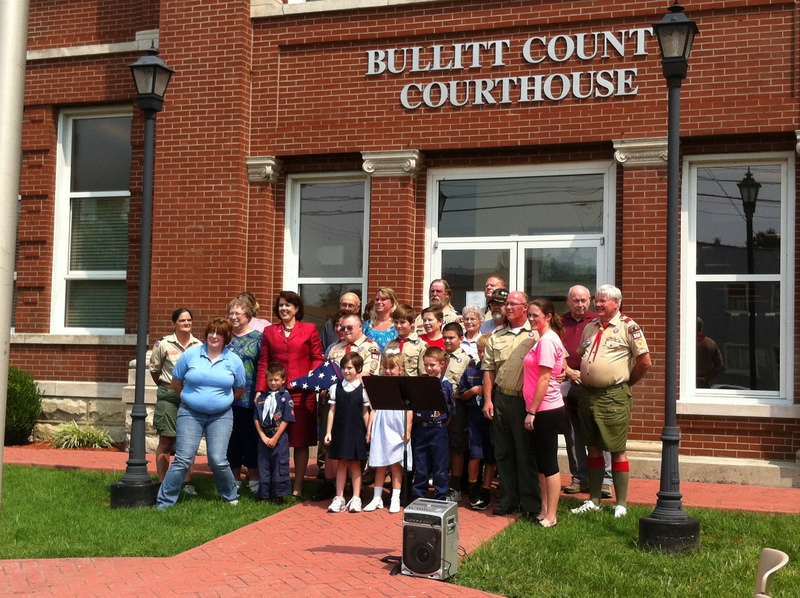 Thank you Cub Scout Troop #868 for presenting the Bullitt County Courthouse with an American Flag! 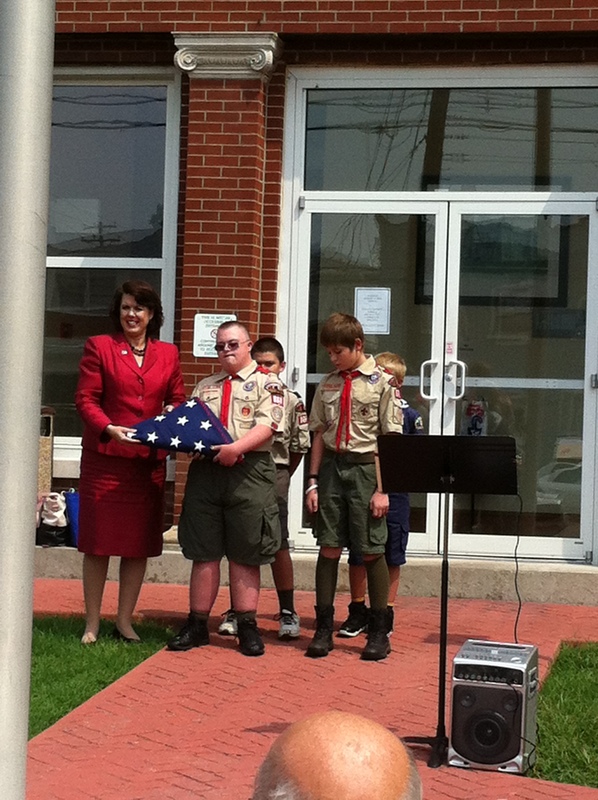 Special thanks to Heather Hall and Billie Jackson of the Daughters of the American Revolution for organizing this special event. This entry was posted on Wednesday, August 14th, 2013 at 3:58 pm and is filed under Uncategorized. You can follow any responses to this entry through the RSS 2.0 feed. Both comments and pings are currently closed.